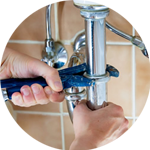 Getting hold of a qualified and reliable plumber in Bloomsbury can be taken care of by The Handy Squad. 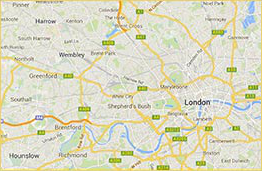 We have been serving this area of London since 2005 with a friendly and efficient level of customer service. 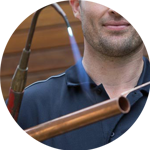 There is no task that our plumbers won’t be able to solve, as they boast a wide range of skills and expertise. 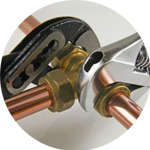 Having worked on numerous plumbing jobs, our team have managed to develop a wide spectrum of plumbing skills that can be applied for any issues within both domestic and commercial buildings. 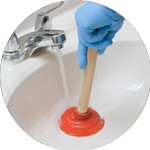 Your plumber in Bloomsbury will be able to work on anything which relates to; Replacements, Unblocking, Installations and Repairs. Bloomsbury is located within the London Borough of Camden and is situated between Euston Road and Holborn. The area has historically been associated with the arts, education and medicine. The Handy Squad prides itself on their range of outstanding services. For general issues such as; Moving Services and Flat pack assembly, we have a team of handymen in Bloomsbury. Whereas electrical and carpentry tasks can be taken care of by any of our specialist tradesmen. To book you handyman, carpenter, electrician or plumber in Bloomsbury, fill out our online form.